Tannery World Dance Cultural Center’s Artist in Residence, Jessa DeLancey and dancers Charley Fierro and Inbar Vanek talk about the upcoming world premiere of TIERRA PURA Corazón del Bosque / PURE EARTH Heart of the Forest. Presented by The Tannery World Dance and Cultural Center, TIERRA PURA Corazón del Bosque / PURE EARTH Heart of the Forest performances are Saturday, October 3rd at 8pm, and Sunday, October 4th at 4pm at the Tannery World Dance and Cultural Center Studio, 1060 River Street #111. Admission is $15 for Adults, and Sliding Scale for children/students/seniors. 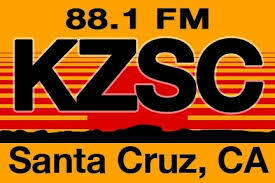 The show was broadcasted live September 23, 2015 on 88.1FM and KZSC.org.